Kolsassberg is a small municipality in the heart of the recreation area Silberregion Karwendel at 900 metres above sea level, the ideal start point for wonderful hiking and bike tours to the managed alpine meadows and huts. 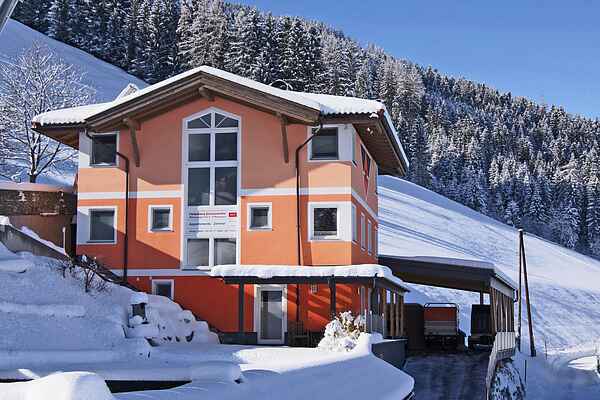 The holiday home Sonnenwinkel, winner of the 2013 Belvilla-Award, was newly constructed with great care in Tyrolean style and completed in 2009. The luxurious 205 square metre-house consists of 3 floors and is a fabulous place to stay for your holiday. The spacious terrace offers you a beautiful view of the entire Inn Valley. The Zillertal with its many ski areas and the Achental, a paradise for going hiking and mountain biking, are just a short 20-minute ride away. Provided there's enough snow, the Hofer ski lift near the holiday home will be in operation, which will especially delight families with children. The snow cannons are utilised from early December until the end of March. Free ski lessons are offered to children from 4 to 12 years old. There's also a ski course '50+' for people 50 years of age and older.